A collaborative vision with Shenzi Udell, Alexis Lambert, and Kiely Berg. Now, more than ever, the world needs affordable, quality food that matches the cultures and generations that live together with varying lifestyles, preferences, and needs. However, there is no food concept that seems to fully match high quality with low price and there doesn't even seem to be an attempt to make a wholly inclusive, culturally rich eating experience. Yet there is one form of food, the skewer, that seems so internationally significant and potent that we can't imagine why it hasn't been fully celebrated. 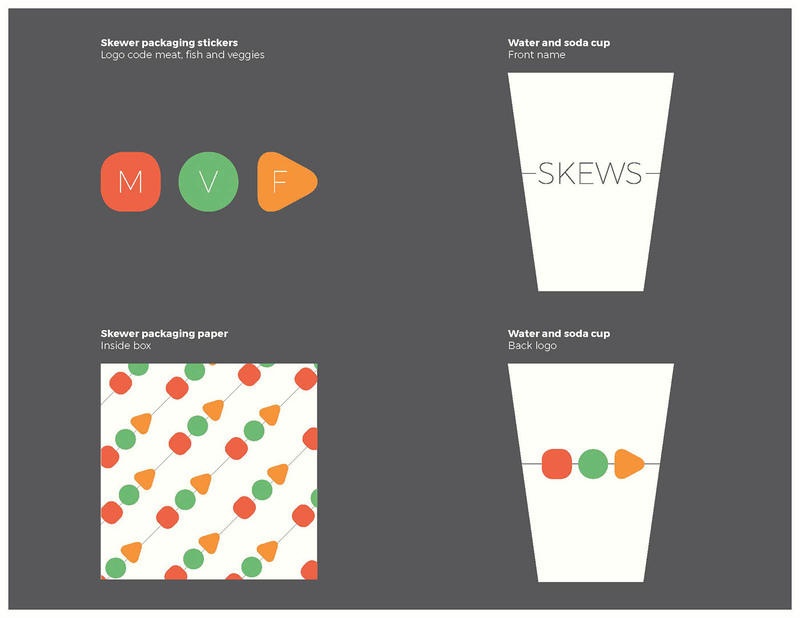 That is the intersection where we envisioned Skews: a food franchise concept that seeks to deliver the simple, no fuss skewer to the modern eater. 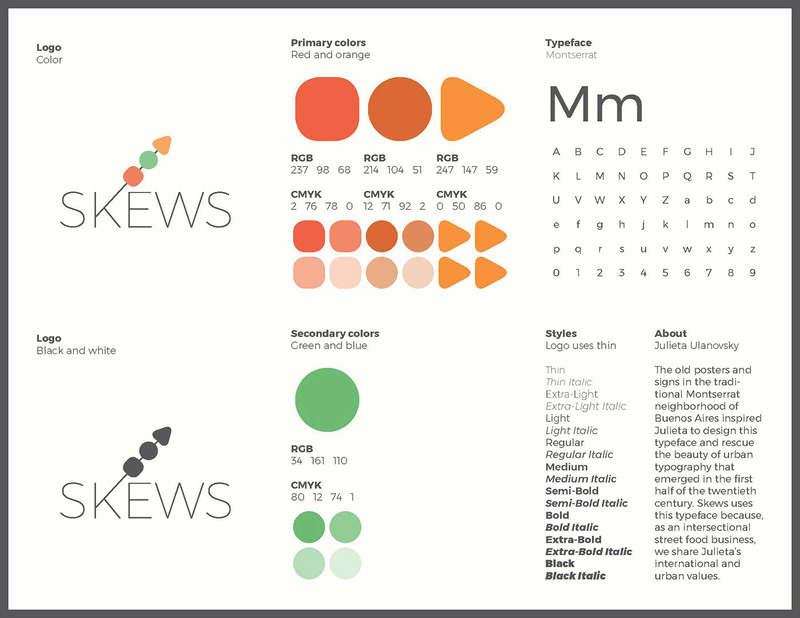 The concept is simple and inclusive: various regional skewer styles are presented on a manageable, rotational menu. These skewers are easy to prepare and can be picked a la carte. With this system, you can now enjoy a small inexpensive snack or a full meal depending on the size of your order. (bye bye food waste!) What's more, you can now also try new cuisines at low stakes. 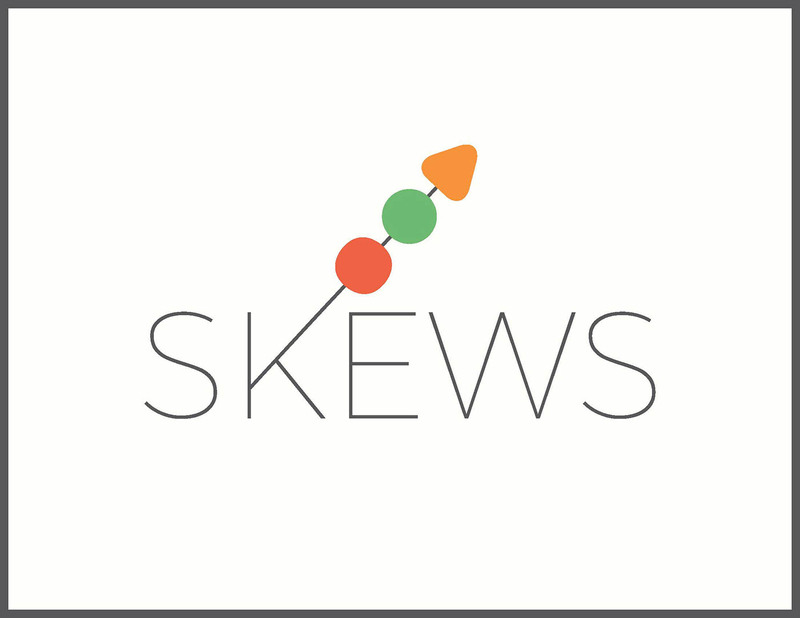 Our identity strategy differs from regular fast foods; Skews doesn't perpetuate the stereotype that fast food is processed or unhealthy. The simple, clean approach characterizes Skews dedication to sourcing clean, regional ingredients and building from natural simplicity. 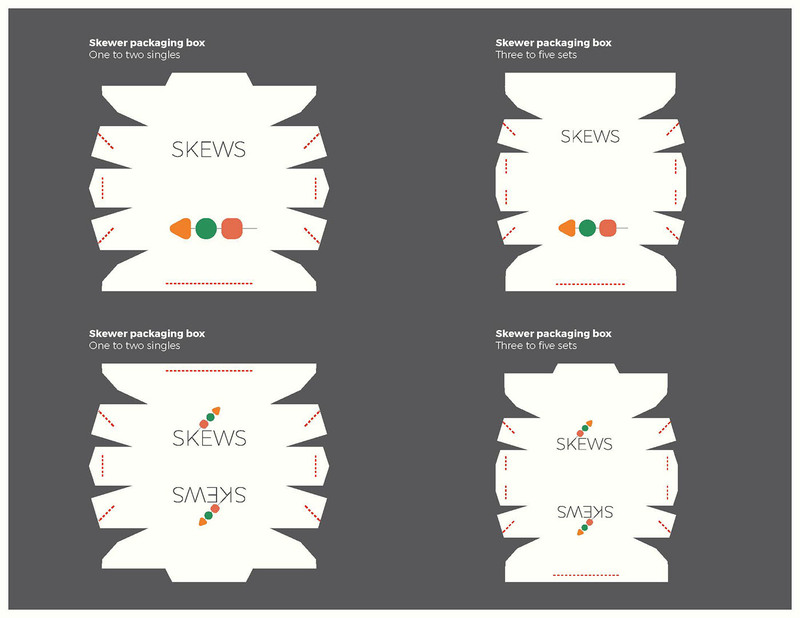 Skews packaging will also accommodate for the various dining needs of every customer; from size of the meal to diet options. Our packaging system will make it clear and easy to differentiate between meal sizes and dietary choices. 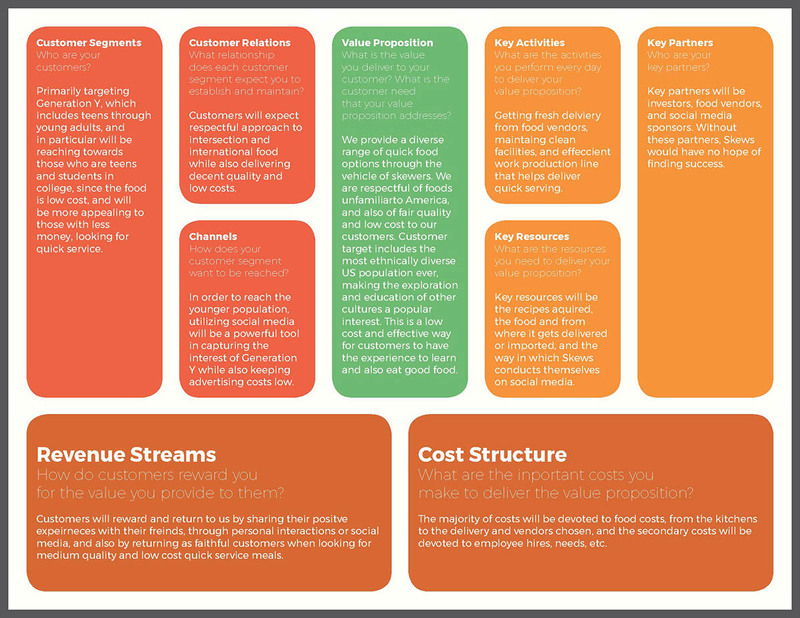 Above is a preliminary business and marketing strategy and breakdown to better understand the feasibility of such a franchise concept. While the whole endeavor may be costly, the concept of a intersectional food franchise can be very profitable in the long-term, and bring happiness to a lot of people. A collaborative vision for an international food franchise concept celebrating the skewer and the intersectionality of cultures and foods.